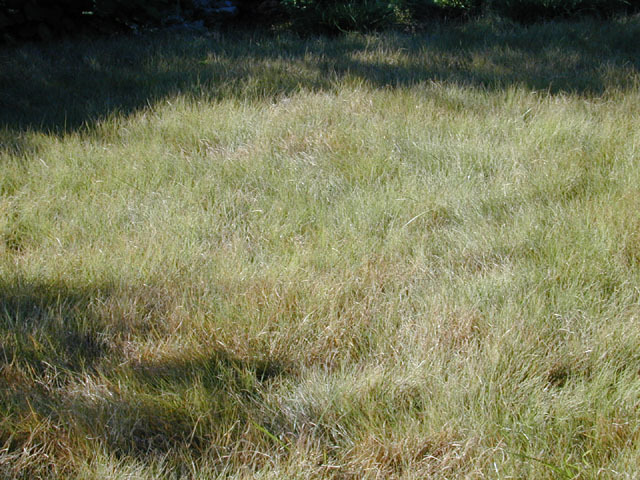 It’s spring…yea!…bringing life to nature, including our native plants and…ugh!…invasive species too. Invasive species have both economic and environmental costs. 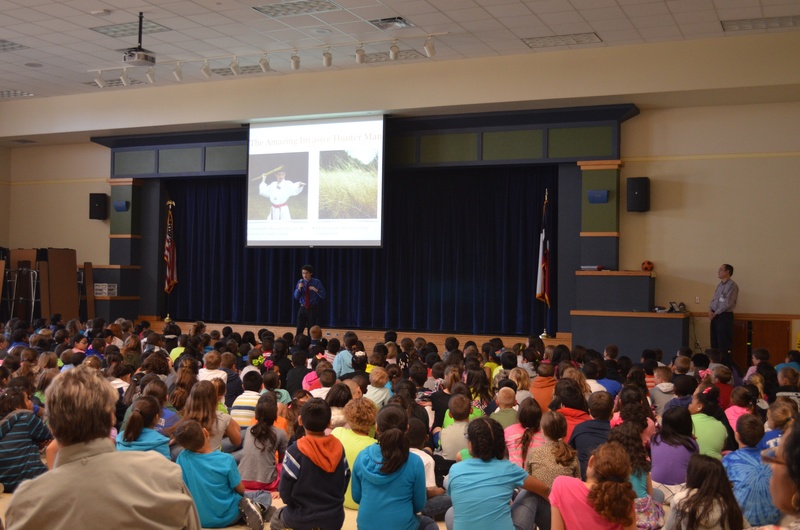 They crowd out our native plants, including our beautiful Texas wildflowers, and compete with our crops. We’ve got to protect our native ecosystem! 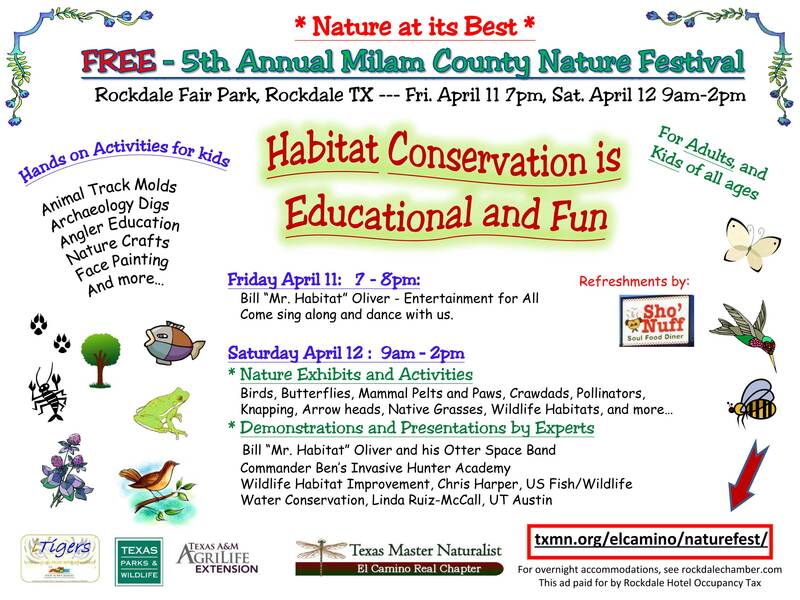 Young naturalists, join me and I’ll show you how to become an expert Invasive Hunter with my Invasive Hunter Academy at the 5th Annual Milam County Nature Festival, April 11-12, 2014, at the Rockdale Fair Park in Rockdale, Texas. 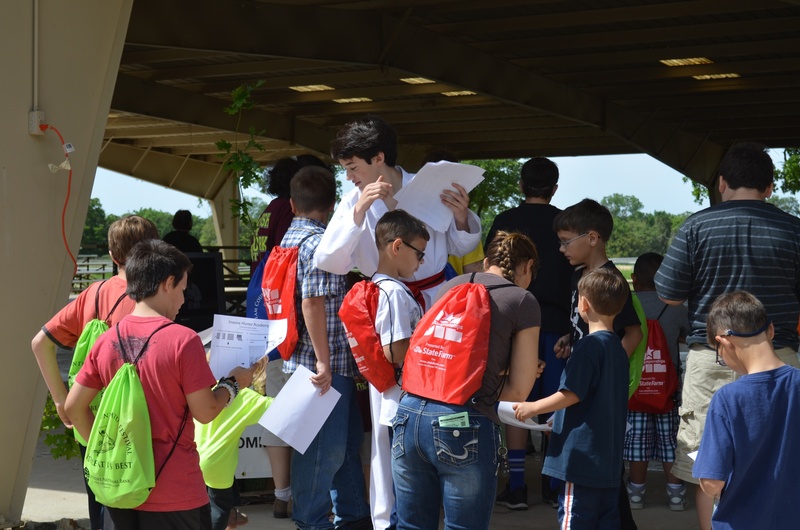 The event is free with lots of activities for kids of all ages! 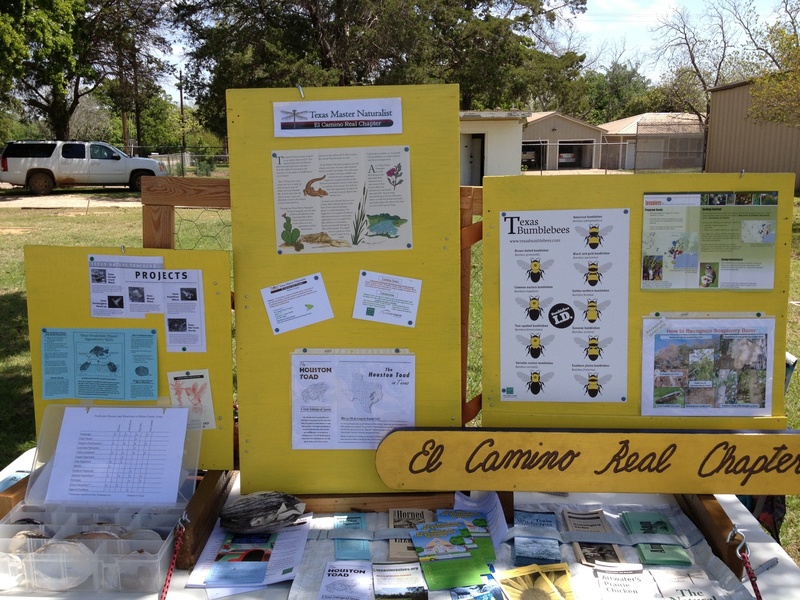 The 2014 Milam County Nature Festival focuses on habitat conservation. 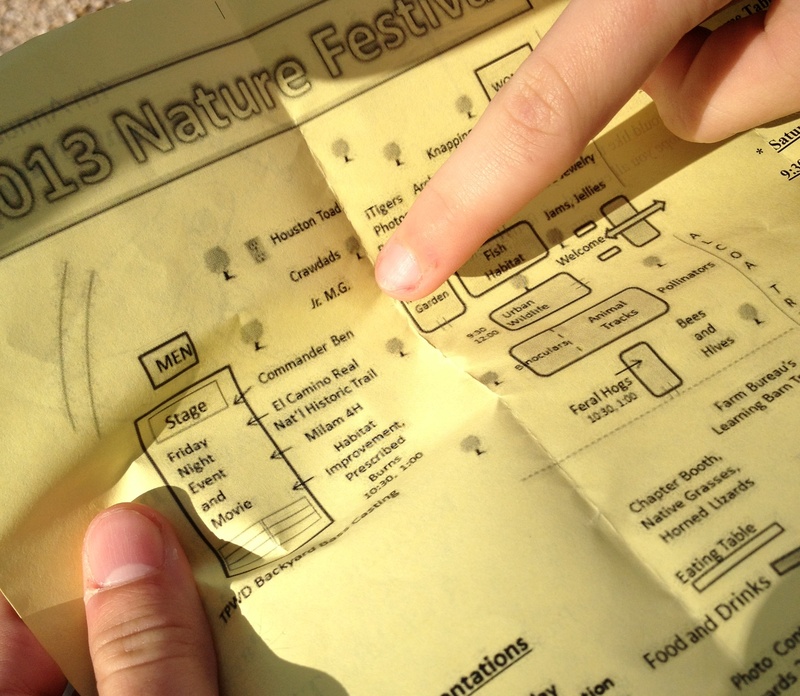 In keeping with the festival theme, you’ll enjoy nature songs from “Mr. Habitat” Bill Oliver, the “Environmental Troubadour”, and you’ll find Mr. Doug Phillips with the US Fish and Wildlife service talking about wildlife habitat improvement, including a discussion of prescribed fires and vegetation management. 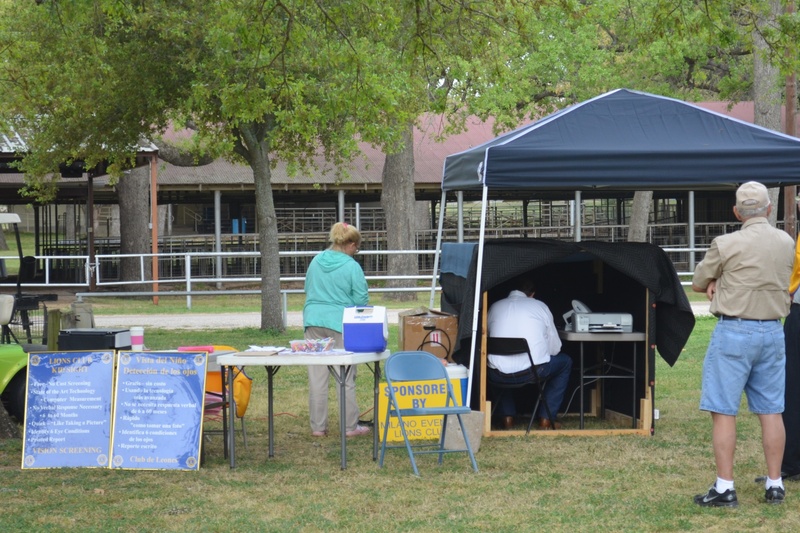 Ms. Linda Ruiz-McCall, with UT Austin, will also be there to talk about water conservation with a ground water simulator that I’m sure will be fun to interact with. 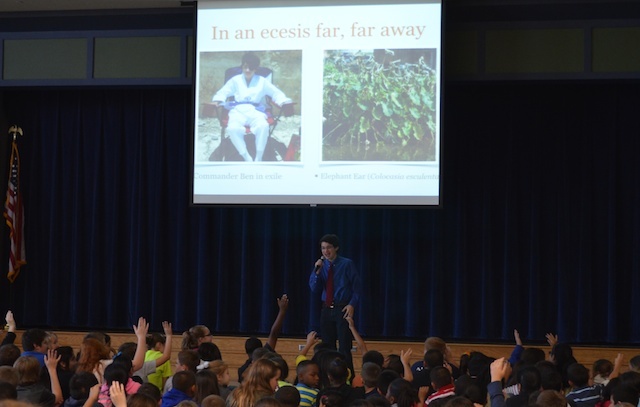 Last year, I had a fantastic time talking with the kids at the Rockdale Intermediate School about my adventures as Commander Ben, “The Invasive Hunter”, and my experiences with dyslexia. 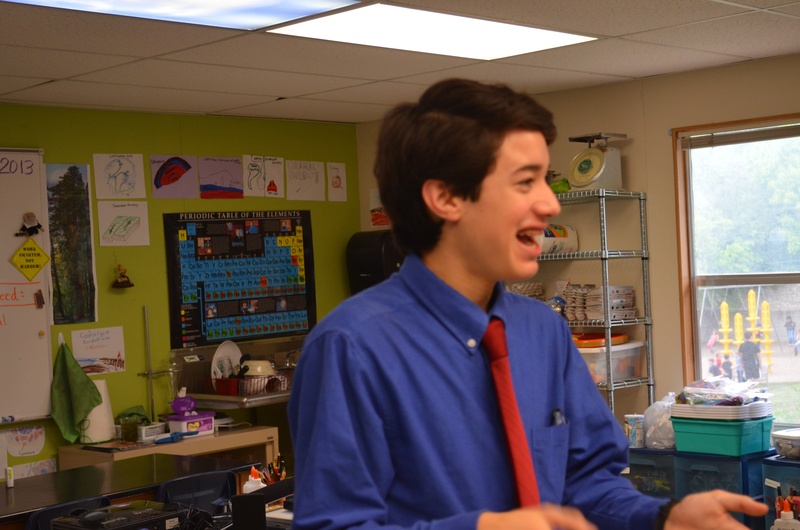 This year, I’m really looking forward to talking with the students at the Milano Elementary School on Friday. Thanks, Dr. John Pruett, for inviting me back to this year’s festival! 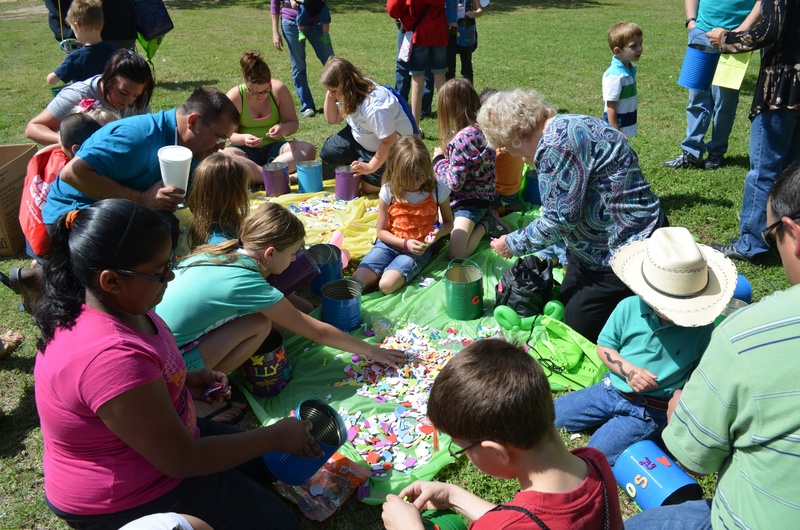 I love working with all the master naturalists in the El Camino Real Chapter of the Texas Master Naturalists, and I especially enjoy having fun with all the kids. the overwhelming majority said Commander Ben with a smile. 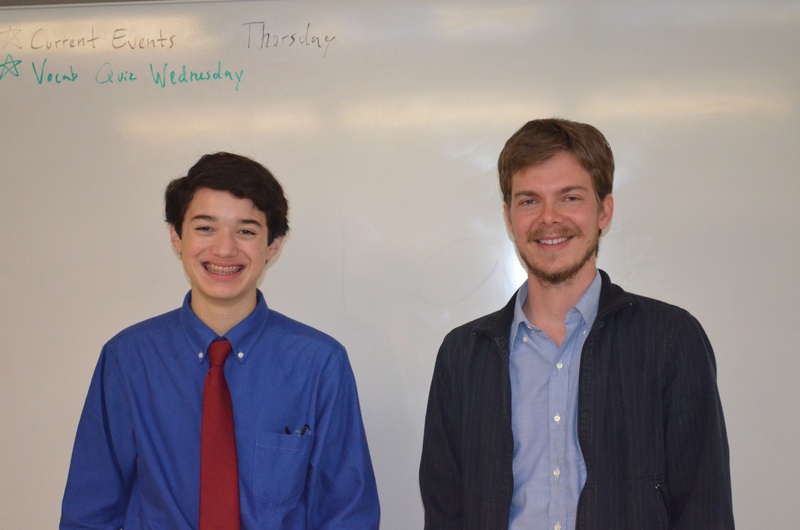 I have been so busy finishing up eighth grade that I have not had a chance to share with you yet about a great experience I had last month. 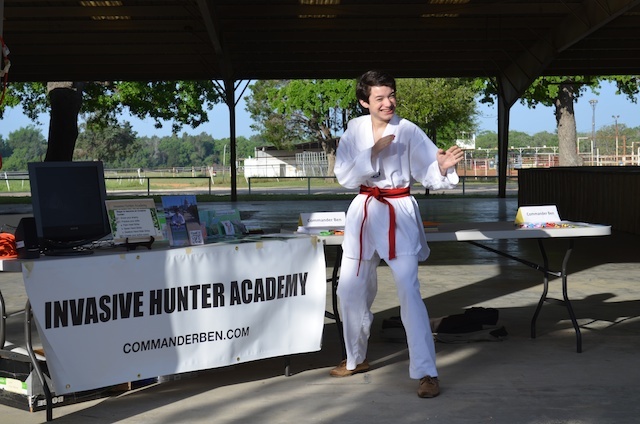 On Saturday, April 13, I brought the Invasive Hunter Academy to the Milam County Nature Festival at the Rockdale Fair Park. It was a great event with over 500 people in attendance. 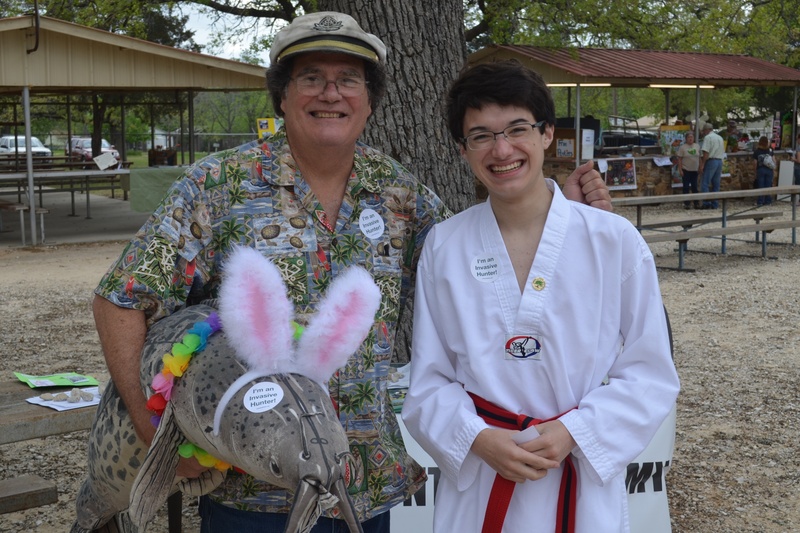 I was invited to participate in the festival by Dr. John Pruett and Ms. Joyce Dalley, two wonderful Milam County Master Naturalists I had met last year at the Lady Bird Johnson Wildflower Center when I attended invasive species training for citizen scientists and the Invaders of Texas Program. 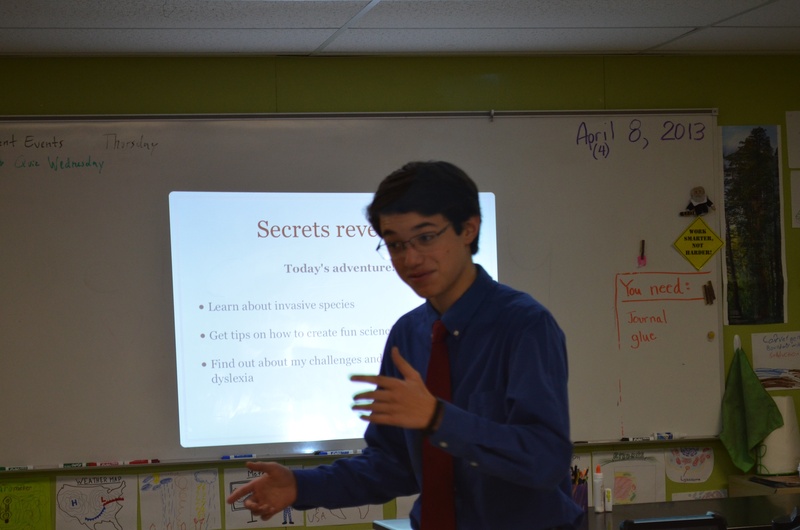 The day before, I was invited to talk about invasive species and dyslexia at the Rockdale Intermediate School by Dr. Pruett, Principal Kathy Pelzel, and Ms. Susan Boyd, ACE Coordinator for the school. 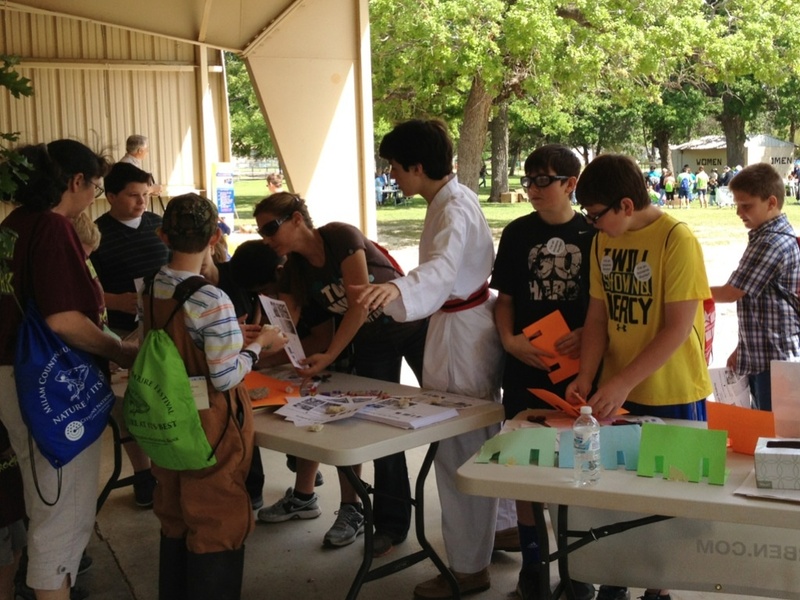 I had a great time with the students–future invasive hunters for sure! Near the end of the festival, I took a quick tour around the Rockdale Fair fair grounds to take in all the sights of the other nature festival activities. 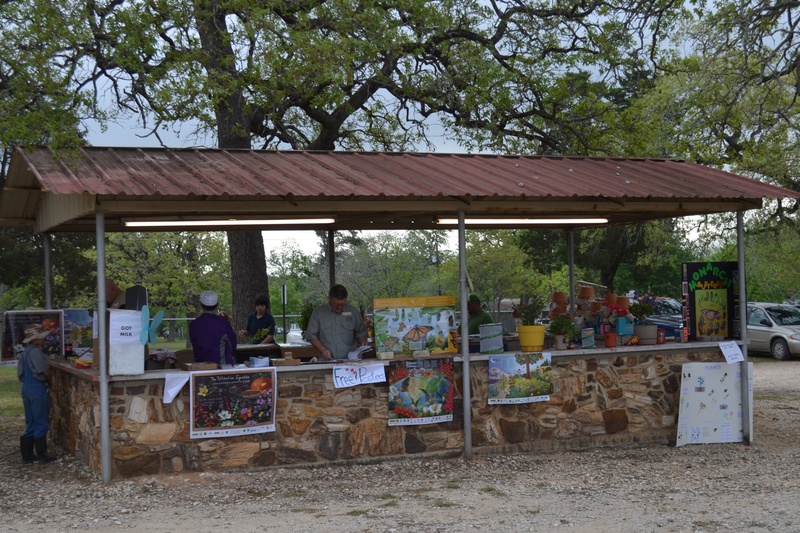 There were lots of booths, including a great exhibit about butterflies and the plants they like, another about how the coyote is the only relative of the wolf left in Texas, and still another was teaching all about crayfish. I even bought one of the books about crayfish. 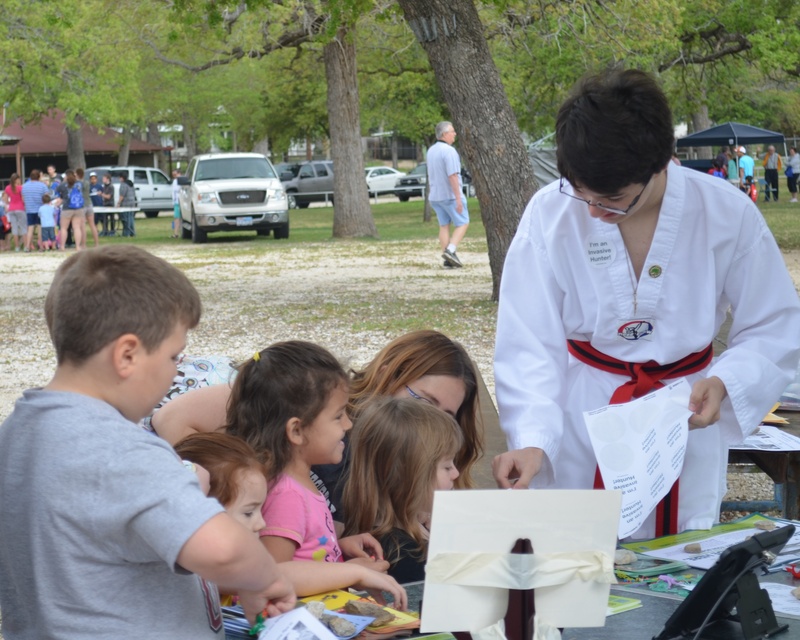 I want to send out a special thank you to Dr. Pruett, Ms. Dalley, and all the Milam County Master Naturalists and volunteers for inviting me to be part of their Nature Festival. Thanks to Mr. Harper and all the young invasive species hunters that I talked with. 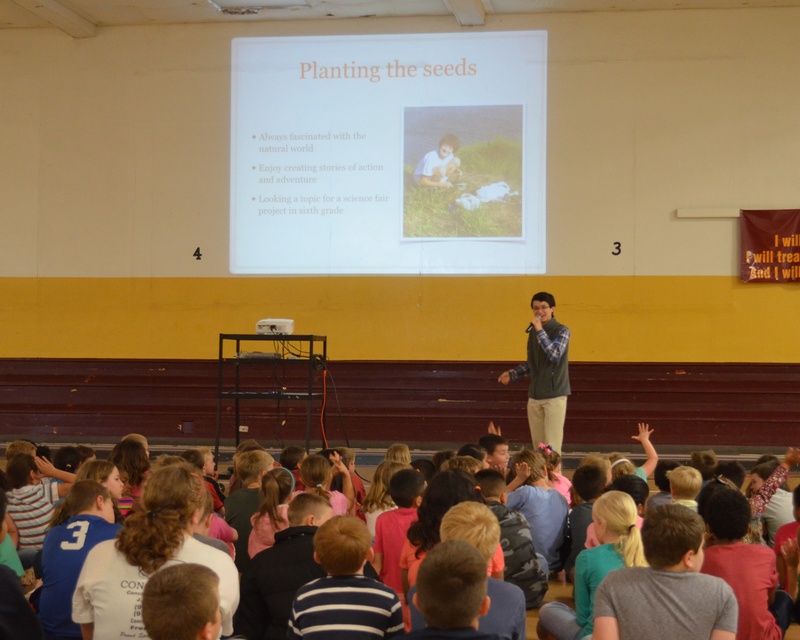 Last month, I had one of the greatest experiences in my life when I went to talk about invasive species and dyslexia to 350 third through fifth graders at the Rockdale Intermediate School. 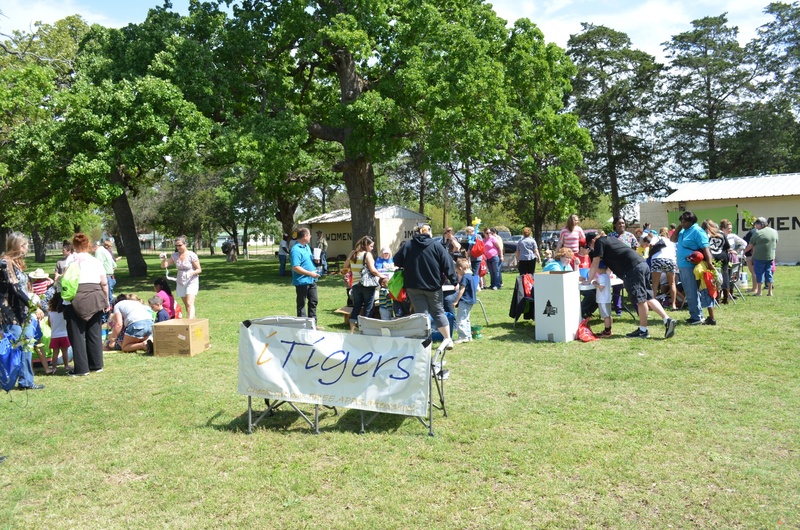 Dr. John Pruett, of the Milam County Master Naturalists, coordinated the event as part of the Milam County Nature Festival, which took place the next day on Saturday, April 13. 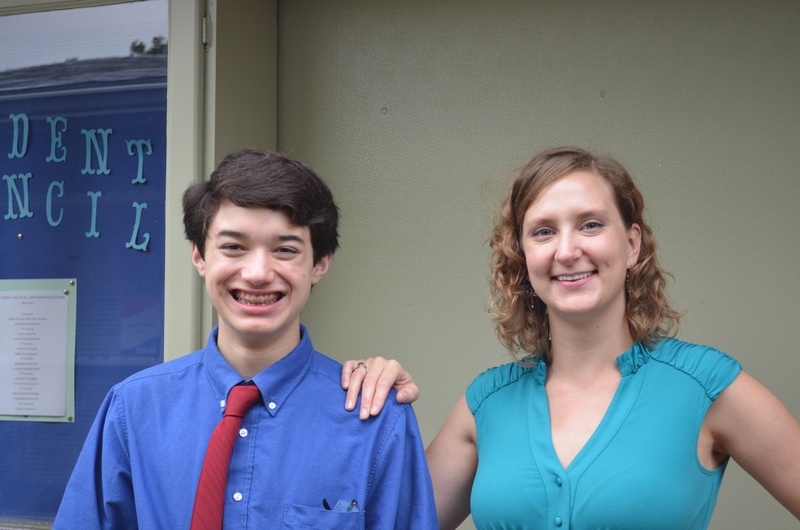 When I arrived at the school, Dr. Pruett met me at the entrance and then I checked in and got to meet Principal Kathy Pelzel and Ms. Susan Boyd, ACE Coordinator for the school. Before the start of my talk, I joined the other Milam County Master Naturalists, including Ms. Joyce Dalley, in a conference room where we chatted about invasive species, nature, and other fun stuff. 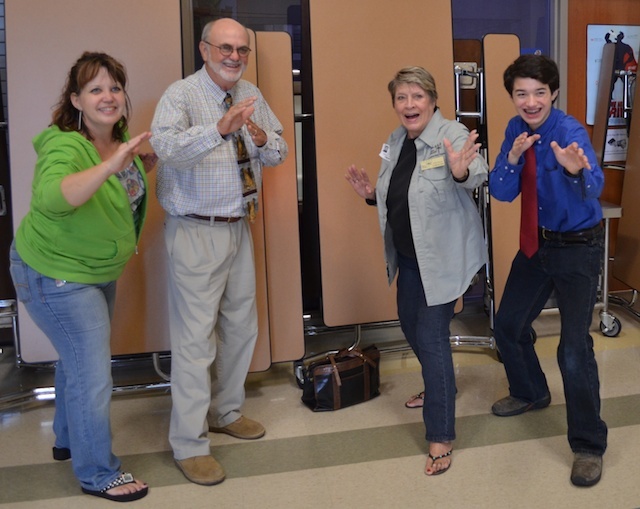 At 2:00 PM, Dr. Pruett introduced me to a cafeteria room full of excited students. They gave me an enthusiastic and thunderous round of applause as I took the mic. 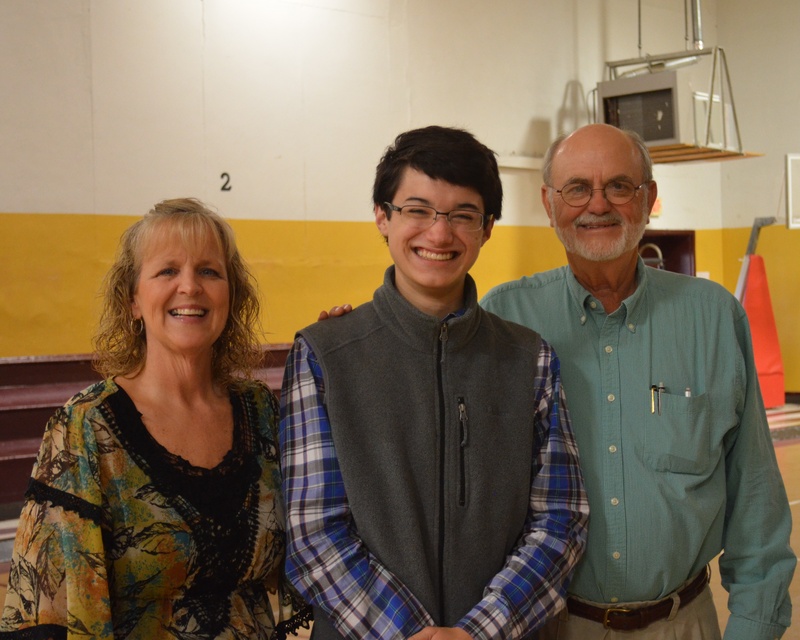 I was humbled…and nervous! But once I started to speak, I relaxed and had a wonderful time. They were a great audience! 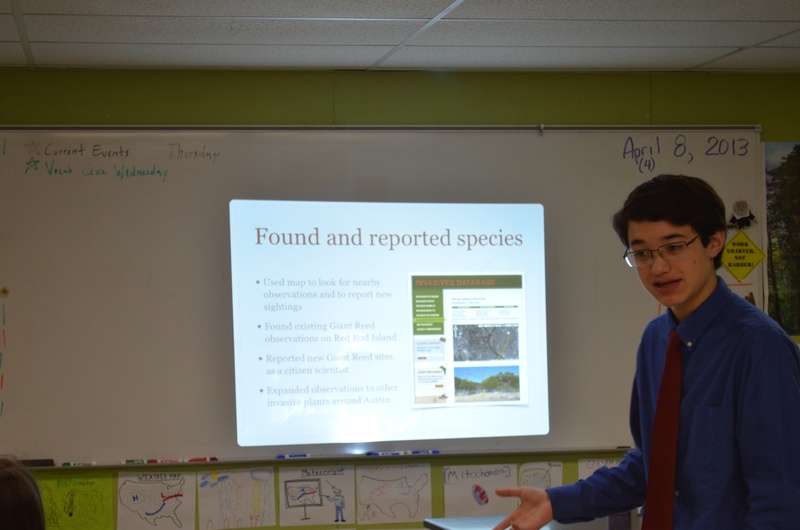 Commander Ben talks about his “Ecesis Far Far Away” Video and the invasive species Elephant Ear. 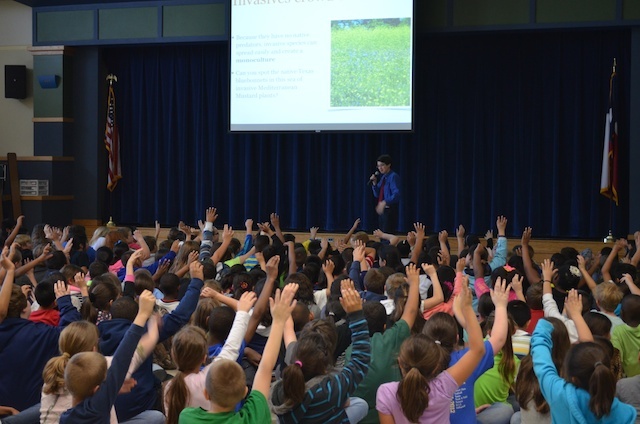 I talked to the kids all about invasive species, the Invasive Hunter Academy, my blog, my videos (and showed a few of them! ), and my experiences with dyslexia. With each video, I talked about the characters that I played and the invasive species that I featured. It was a lot of fun. 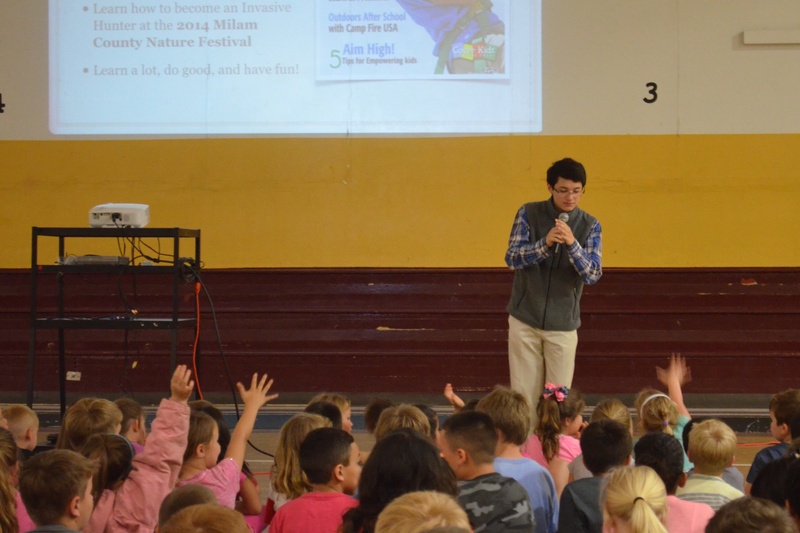 It was especially rewarding when the kids laughed and laughed while watching my The Amazing Invasive Hunter Man video, part of my Battle with Invasive Species video series. 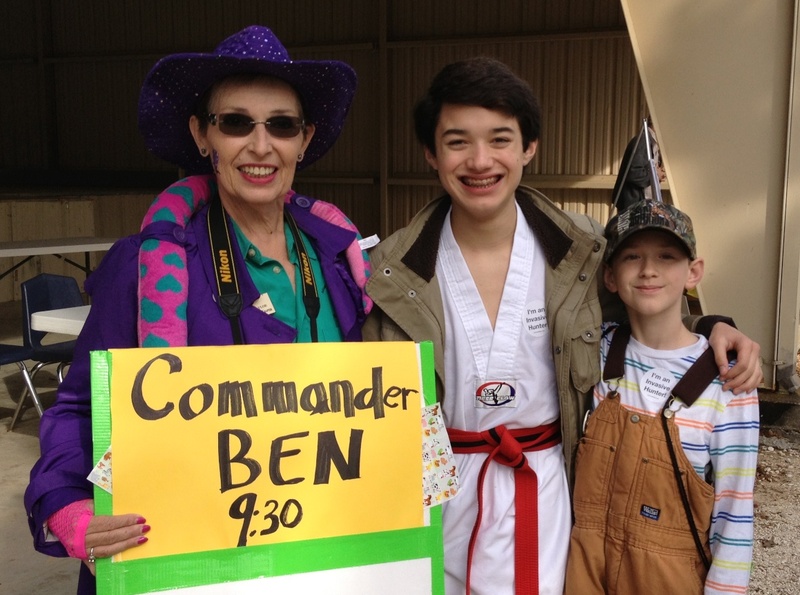 Ms. Susan Boyd, Dr. John Pruett, Ms. Joyce Dalley, and Commander Ben show off their invasive hunter skills. 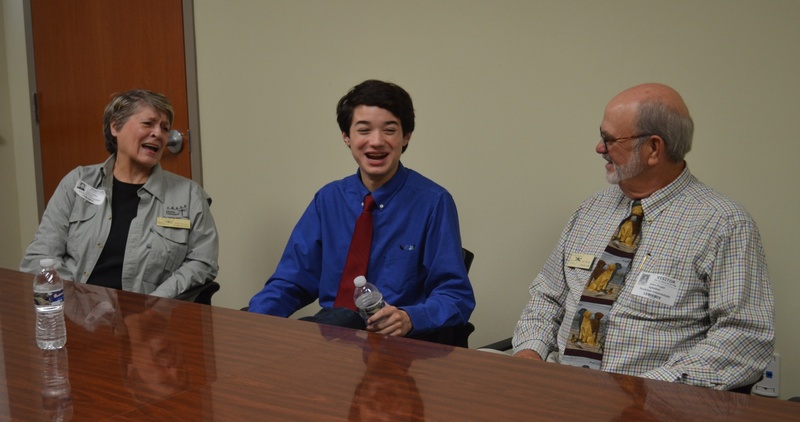 Thanks Dr. Pruett, Principal Pelzel, and Ms. Boyd for inviting me to talk to the great students at Rockdale Intermediate School. I hope the kids had as much fun as I did. I know they’re going to be great future invasive hunters!